There are 108 Divya Desams, i.e. holy temples of Lord Vishnu in India. Out of the 108, 14 temples are in Kanchipuram. This is the highest number in a singe place. There is another fact which place Kanchi ahead of other holy places. There are over 108 temples in Kanchipuram alone. It was the capital city of the mighty Pallava Dynasty who ruled for 600 years. They were the pioneers of cave temples in Tamil Nadu. The temple is under the control of archaeology department. Not far from Kanchipuram Railway station and Bus stand. Shrine is in three tiers with Lord Vishnu in three poses. Inscriptions and sculptures here tell us the story of Palava Dynasty. 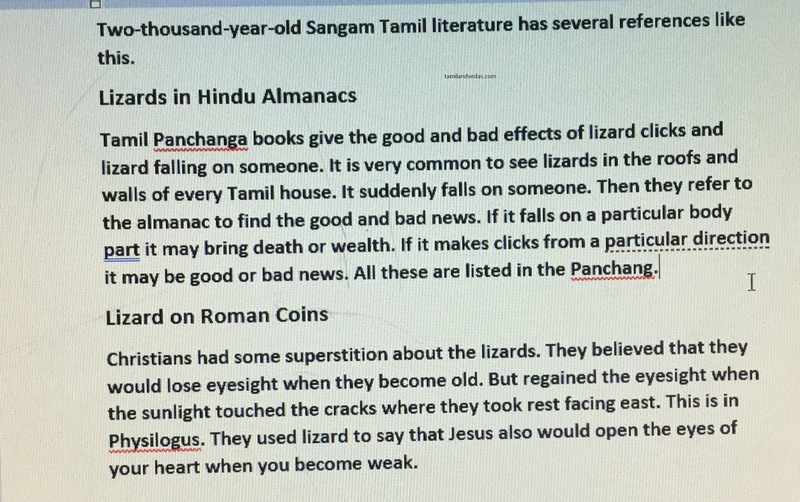 It gives full information of King Nandivarman of Pallava dynasty. King Virosana of Vidarbha Desa had no issues for a long time. He prayed to Lord Kailasanatha of Kanchi and he had two sons. Lord Vishnu’s gate keepers/ Dwara Palakas were born as Pallavan and Villvan as sons to the king. They did Aswamedha yajna and Lord Vishnu appeared before them and the same pose can be seen even today. The temple has inscriptions of eighth century . Abhimanasiddhi alias Pallavan donated a bowl and image made up of 1000 gold coins. During Dantivarman period (812 CE) a bowl weighing 10,000 kazanju was donated to the god. Avani Chandra donated 3000 kazanju gold to the temple. Thiruvarangan Manikkam donated lands to feed the Vaishnavas attending a festival. Full moon day- April 19;New moon day- 4;Ekadasi Fasting Days- 1,15, 30. Yoga means yoke, to join, that is to join the soul of man with the Supreme soul or god. Worlds must disappear in the soul like drops in the ocean 4-240. A merchant of Genoa commissioned Donatello to carve for him a colossal head. When the model was finished the Genoa merchant objected to the price, saying that he had been engaged only a month on it, and the sum asked was equal to half a Florin a day. Donatello, turning round, exclaimed that it was possible in a moment to destroy the work of a year, and with a sudden push he threw the head to the ground, where it broke into a hundred pieces. It was clear, he said, that the purchaser ought to confine himself to vegetables and leave art alone. The works of Millais, the painter, had been collected in a gallery in London, and a friend, Lady Constance Leslie, went early in the day to the exhibition. Going up the stairs, she encountered the painter going out with head bowed down. As she greeted him and he looked up she saw tears in his eyes . “Ah, dear Lady Constance”, he said “you see me unmannered. Well I am not ashamed of averring that in looking at my earliest pictures I have been overcome with chagrin that I so far failed in my maturity to fulfil the full forecast of my youth”. When Sir Humphrey Davy returned from a visit to Paris he was asked how the picture galleries had impressed him. “The finest collection of frames that I ever saw”, he said. “Oh, cried Whistler, don’t touch that”. “I don’t mind, said Mark Twain , I have gloves on”. The fine American painter Georgia O Keeffe, was slow in appreciating the monetary value of her work, and has never ceased to be somewhat indifferent to it. Characteristic of her reactions was the day when the first sale one of her pictures occurred. The canvas brought 400 dollars. Miss O Keeffe who was standing nearby while the transaction was completed, became pale; not because of the sum of money but at the thought that she would never see her painting again. Whistler once undertook to get a fellow painter’s work into the autumn salon. He succeeded and the picture was hung. But the painter, going to see his master piece with Whistler on varnishing day, uttered a terrible oath when he beheld it! “You are exhibiting my picture upside down”. “Hush, said Whistler, the committee refused it the other way”. ‘The Assumption of the Virgin’, which he painted on the ceiling of the dome of the cathedral at Parma. So ignorantly unappreciated was his masterly performance by the canons, his employers , that they not only refused the unfortunate artist the price they had agreed upon, but paid 500 crowns , which was all that they would allow, in copper. Correggio was carrying home this money to his family who were living in great poverty in a neighbouring village, when overcome by the heat of the weather and the weight of his coppers , he was tempted to slake his thirst at a spring by the wayside , and the consequence was an inflammatory attack, which soon proved fatal. PAINTER CAN’T PAIN FOR THREE MONTHS! Alfred Stieglitz, the husband of Georgia O Keeffe , has also always been the exclusive handler of her paintings. In most cases he has been reluctant to part with them at all. Occasionally he would name, in a sort of irritation, a sum which he regarded safely beyond the pale. He once demanded 25000 dollars for a series of five flower paintings. To his astonishment, the price was accepted without question. Miss O Keeffe was so dumbfounded that for three months she was unable to paint. 80 POSES FOR PICASSO FOR NOTHING! In 1906, Gertrude Stein, posed 80 times for Picasso’s portrait of her, after which he wiped the face off , saying he couldn’t see her any more, and then finished the likeness in Spain, where he could not see her at all. He also gave her this portrait because, as he later said, at that time in his career, the difference between a gift and a sale was ,after all , negligible. He also said, when friends complained that the portrait didn’t look like her, that someday she would look like the portrait.